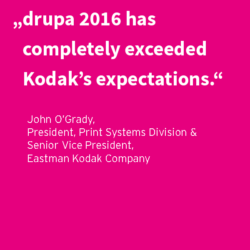 6th drupa Global Trends Report published! 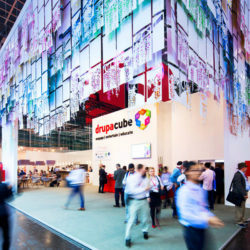 Register online now as an exhibitor for drupa 2020! 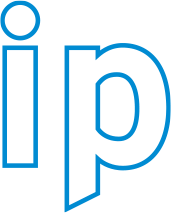 There’s no other industry event that has such great international appeal as the leading trade fair for printing technologies. 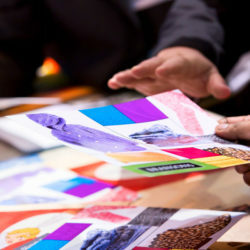 More than half of its visitors come to drupa with specific investment projects. 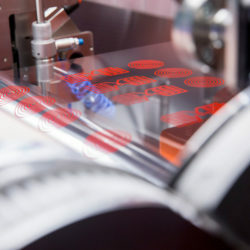 At drupa 2020, exhibitors will present the trend universes of print and reach new customers and new markets all over the world. 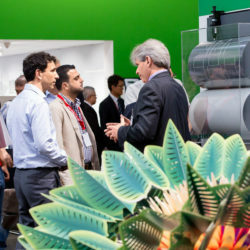 At drupa 2020, key trends and outstanding innovations as well as new products will set benchmarks for processes and applications. 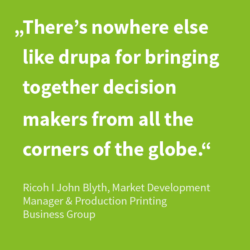 At drupa, world market leaders will be showcasing their innovations. 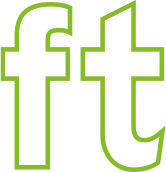 The term "functional printing" covers innovative printing processes for many applications and solutions from different vertical markets. 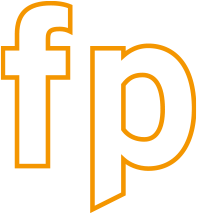 Again in 2020, the touchpoint 3Dfab+print will be offered with internationally top-class speakers and future-oriented presentations. 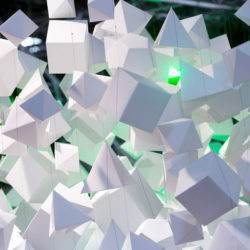 Our exhibitor's innovative and novel interior furnishings will lead the industry into the future again at drupa 2020. 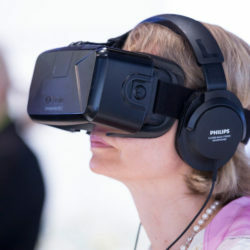 The major themes of automation and robotics, new work flows in the production process, and the next generation of industry 4.0 will be at the center of many discussions.